Black Hat with Red Sandwich, Eyelets, Top Button. Royal Hat with White Sandwich, Eyelets, Top Button. Stone Hat with Black Sandwich, Eyelets, Top Button. White Hat with Navy Sandwich, Eyelets, Top Button. Navy Hat with White Sandwich, Eyelets, Top Button. Black Hat with White Sandwich, Eyelets, Top Button. 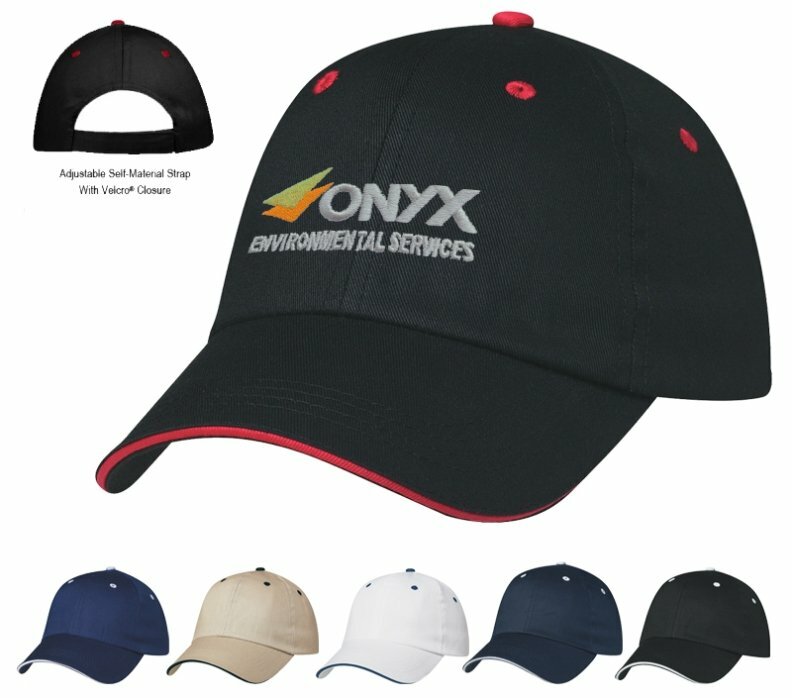 using the same embroidery color throughout the order.